Why Are Scented Candles Toxic? Candles, especially cheap ones, are typically made of parrafin wax. This wax is actually a highly toxic petroleum by-product.When burned, these candles release toxic compounds into the air, like toluene and benzene (1). What’s more, scented candles contain chemicals that enhance this toxicity called VOCs (volatile organic compounds) (2). These include formaldehyde, a carcinogenic compound that worsens breathing problems and irritates mucous tissues in the respiratory tract (3,4,5,6). It also causes nausea, vomiting, and a burning sensation in the eyes. Worse yet, the compound is linked to cognitive impairment (7). The actually scents added to the candle aren’t much better: “fragrance” used in candles and other scented household products can contain up to 3000 different chemicals (9). 900 of these are known to be toxic, and some can actually increase in toxicity when combined (10). While candle wicks used to be made of dangerous lead, modern candles contain much safer cotton wicks. If you purchased any candles before 2003, throw these lead-contaminated products away immediately (11). To start, candles should not be burned for long periods of time. Read the label of your candle to find out what’s appropriate for your specific product. You should also avoid burning them in a breezy area as that can lead to a more billowy flame. Dr. Lisa Liberatore warns that if you see any soot around the candle container, put it out immediately. 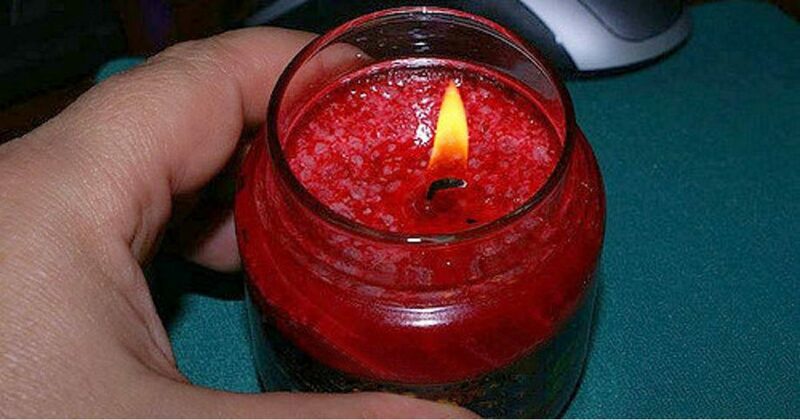 After blowing out your candle, you may safely open a window to let out the rush of smoke. Before using your candle, make sure that the wick is trimmed to an 1/8th of an inch to keep the flame short and avoid soot. If you’d like to fill your home is a lovely scent, opt for incense, natural potpourri, or an ultrasonic essential oil diffuser. You can also make a room spray by placing a few drops of essential oil in a spray bottle full of water and shaking before use. If you want to use candles, stick to the beeswax variety. If you absolutely want a scented candle, choose one infused with essential oils.